Next post: Happy Fifth Anniversary! 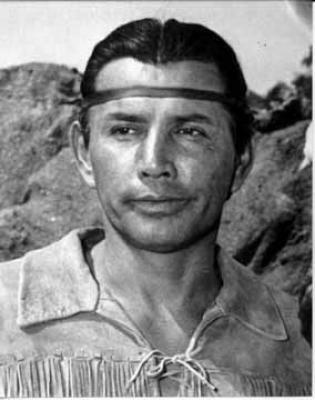 Jay Silverheels, best known for his role as Tonto in “The Lone Ranger,” was also a boxer and lacrosse player and even held a position on Canada’s National Lacrosse Team. He also founded the Indian Actors Workshop in Echo Park, California, which no longer seems to exist. Moreover, I recently discovered that Silverheels “began to write poetry based on his growing up on the Six Nations Indian Reserve. He also appeared numerous times on television to read his poetry.” I searched but could find none of his poetry online nor did I find any book for purchase that might contain a snippet or two. Does anyone have any of Jay Silverheels’ poetry? We’ve seen that a President McCain is not likely to be the leader this country and the world need to maintain the planet’s livability for our children and the next 50 generations. What about a President Hillary Clinton or Barack Obama? Both would be a giant step forward. Unlike McCain, they have both put out detailed and comprehensive plans. (Obama’s is here. Clinton’s is here.) Although you wouldn’t know it from the media coverage, these plans are more important to the long-term health and well-being of future generations than the candidates’ healthcare or Iraq plans. * * * Last week, a secret recording emerged of a disturbing speech by Oklahoma Representative Sally Kern stating that homosexuality is a bigger threat to our nation than “terrorism or Islam.” Rep. Kern has refused to apologize for her remarks. Hateful speech by elected officials must not be tolerated – especially when hate crimes based on religion and sexual orientation are on the rise.